I’ve been thinking about book covers lately, because I have a poem book coming out sometime soon, and I need to decide what kind of thing will be on the cover. I guess I’ve always been drawn to improvised-looking, expressive, batty drawings. 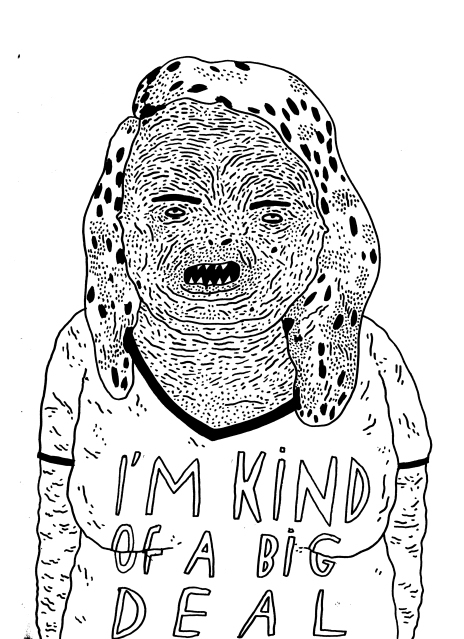 I love scratchy pen and cross-hatching. I like pictures that look as though they’ve been drawn in the margin of a 1A5 exercise book or on someone’s arm. The four images below are via Scott Lindbergh. I’m sad that I don’t draw any more – it used to be a favourite thing, but was slowly squashed to death by the conviction that I’d never be any good. My favourite art blogs and work at the moment are Wasted Rita, Elliot Elam, Personal Message (painting and poems by Michael Dumonter and Neil Farber), Tom Gauld (whom I starry-eyedly asked if he would make me a cover, but of course he was way too busy, being famous), Gwendal Le Bec, Fredrik Ratzen, Stacey Rozich, and of course the Drawn! blog always has loads of interesting stuff. Here’s an edit of my favourite poem covers. 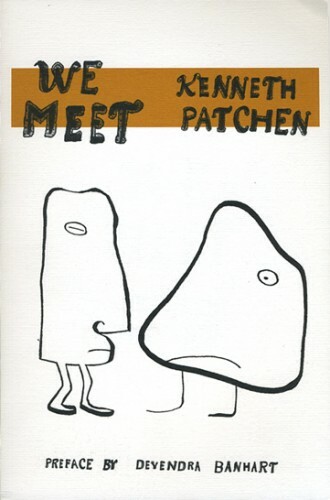 Kenneth Patchen’s books of picture-poems, We Meet and The Walking-Away World (both New Directions, reprinted 2008): I love the blobby-yet-expressive figures here. 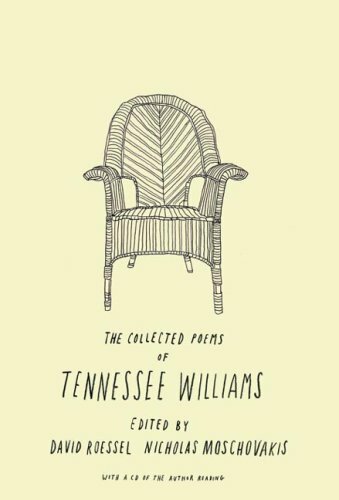 I like how this simple chair becomes a thing of intricacy on the cover of this edition of Tennessee William’s Collected Poems (New Directions, 2007). You can imagine the texture of the cane (I’m assuming it’s cane), how much weight it would carry, if it would squeak upon receiving the sitter. You can tell it’s an old chair, too. I really like a dog on a cover. 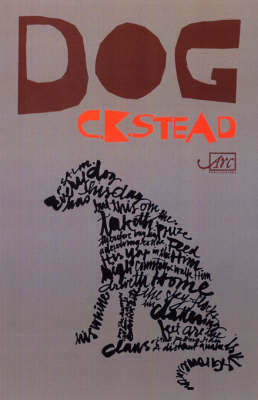 C. K. Stead’s Dog (Arc Publications, 2004) fulfils this brief nicely with this scratchy, sketchy, word-dog. 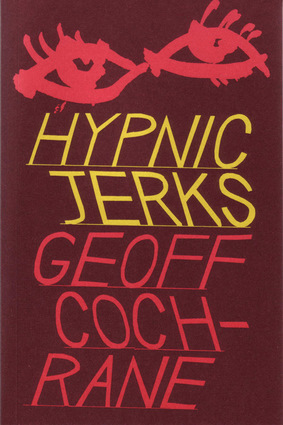 It’s designed by Sarah Maxey, whose cover designs are everywhere, but whose work never ever gets dull. Even better: the simple cover with a full-out photo of the author on the back. We never really see these big author photos any more. Why is that, I wonder? I guess it dates the book. When authors grow old, maybe we find photos of their younger selves depressing, and are reminded of the photos you sometimes see on headstones, and of mortality. I don’t know. 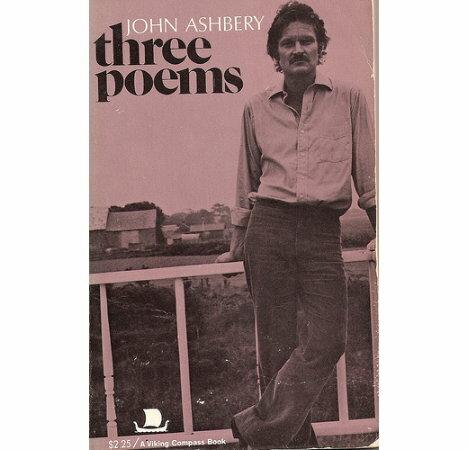 Even rarer is the simple cover with a shot of the author on the front, as in Philip Larkin’s Collected Poems (Marvell Press, 1988) and the rather fabulous John Ashbery photo on his Three Poems (Viking 1972). A lot has been said about author photos – those mean-spirited articles where the writer sorts the photos into categories of expression, like the “head weighted down by heavy thoughts”, the “see my books”, the “I have hands”, or just insults the authors (“They all look like failed lounge acts appearing at your local piano bar, ha ha!”) – but I just want to say that one of the most striking author photos I have seen was James Herbert on the back of Domain, a horror novel about a nuclear explosion and mutant rats. Half his long face was in shadow, and his hair was in a sort of bob. He wore a severe, puckered expression, but he also looked like he was trying not to laugh. I was once forced to leave Te Kuiti Public Library for making a nuisance by laughing at that photo. 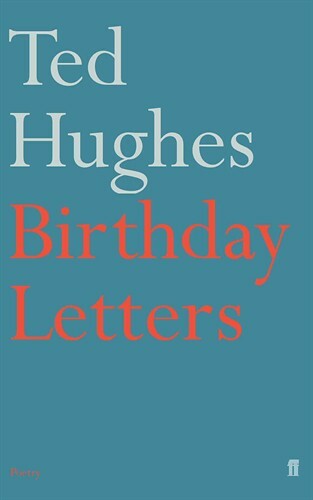 I do like the simple cover. But at the same time, I’m of the mind that, well, hang on, there’s a big empty space here – why not put a flaming skull on it? 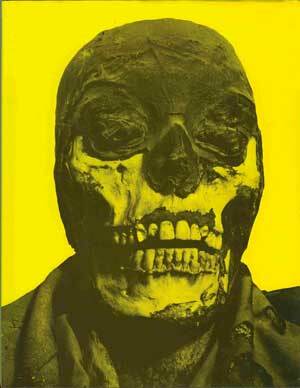 Here is a cover with at least a skull on it, which I quite like, but also find a bit too openly horrible. This is Last Man In by Richard Emil Braun (Jargon Society, 1990). 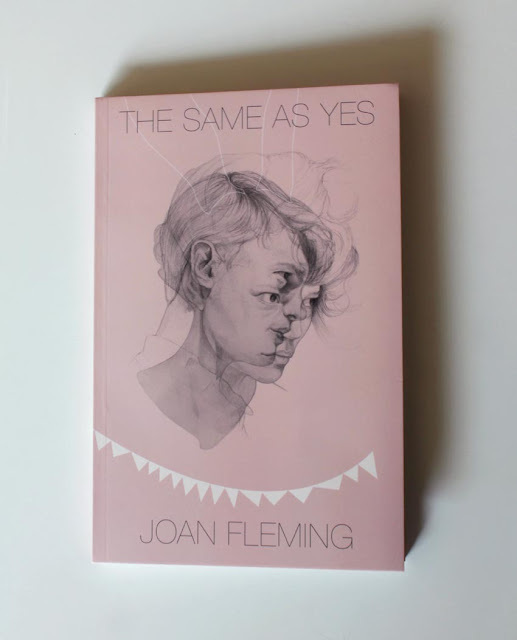 Then there’s the fragmented face, as in The Same as Yes by Joan Fleming (Victoria University Press, 2012, cover designed by Denise Nestor), an image I find hypnotic. 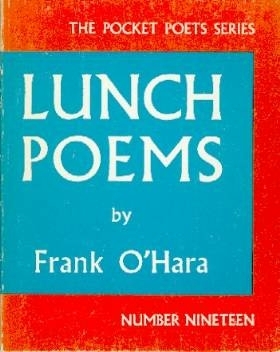 An old friend gave me a copy of Lunch Poems (City Lights, 1964) years ago when I was writing a thesis on Frank O’Hara. 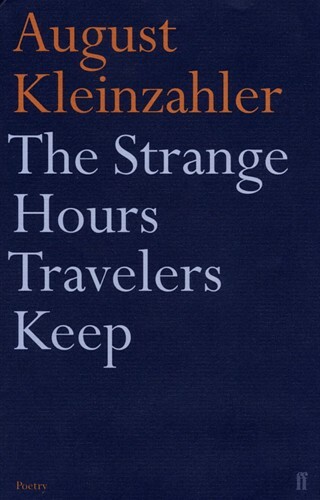 Its simple red and blue cover became synonymous with comfort. 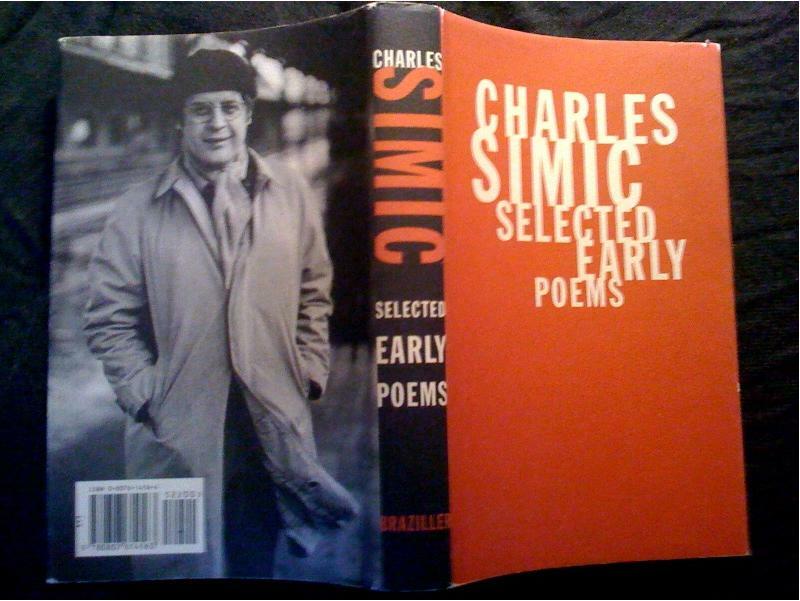 It took me back to the joy of the poems when I was feeling a bit drowned in Frankisms. These are good colours to have at your bedside. Apparently they are the colours of an old restaurant chain that O’Hara used to frequent, called Howard Johnson’s. 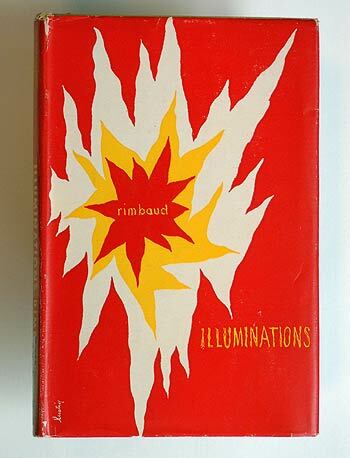 This edition of Rimbaud’s Illuminations (Faber and Faber, 1932) feels a little bit like a Rorschach test. Is it an exploding sun, or a hole clawed in a fancy sofa by a cat? Has the earth broken open after an earthquake? Is it just a smashed egg? Are we seeing the sun rising from the jagged opening of a cave? I start to feel a bit sick if I look at it for long enough. Maybe that’s the test of a good poetry cover. 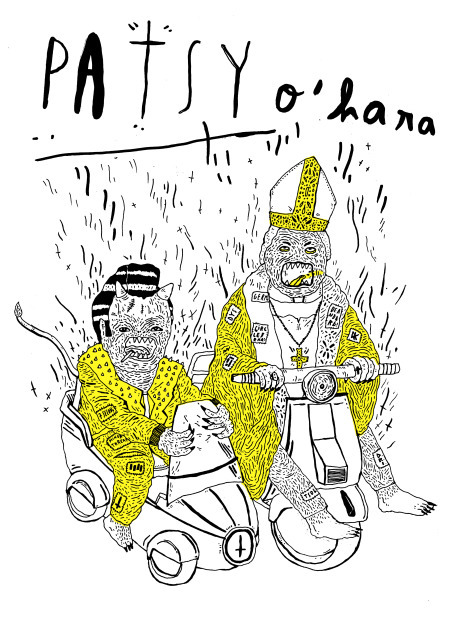 I love all of Wellington poet James Brown’s covers. Go Round Power, Please (which I couldn’t find an image of) is probably my favourite, with its expanse of little pottery people staring out at us creepily. 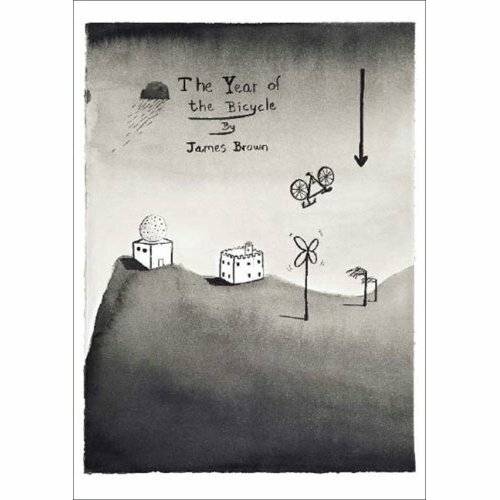 The Year of the Bicycle (Victoria University Press, 2006) is below. I like the weather of it. The bent-over trees, the cloud trying so hard to rain, and the acrobatic bicycle that has been whipped away from some poor cyclist, who is presumably loping up the hill on foot just out of the frame. 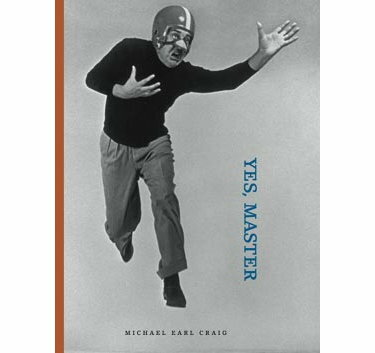 Last one: I just came across this cover for Michael Earl Craig’s, Yes, Master (Fence Books, 2006) via the neat Lime Tree blog. I just like how ridiculous it is. No offence to the film maker Jacques Tati, pictured here in 1954. I’ve always been a bit obsessed about what my own book cover would look like, since I was very little. I guess I should’ve spent all that time fantasising about wedding dresses. Maybe that’s where I’ve gone wrong all my life. 1. A flaming skull. Because … a flaming skull. 2. A skull with snakes coming out of its eyeholes. 3. A hot-air balloon that is actually a gigantic eyeball. 4. A bunch of stray dogs leaping into the air to catch a frisbee (that is actually the moon). 5. A pen-and-ink sketch of teachers floating through space. 6. Second thought: maybe the cover has tropical fruits all over it and is scratch-and-sniff? 7. Someone who has buried themselves in a garden. You can sort of half-see them – their face among the cabbages and sprouts. 8. A washing line full of giant pants. Snowy mountains in the background, as a nod to Ursula Bethell. Maybe a dog pulling a pair of pants off the line. 9. A tree growing out of a wall with old, creepy, hallway wallpaper. If anyone has an interesting idea, please share it. I’m fresh out. This entry was posted in Poetry, Working. Bookmark the permalink. That’s a terrific cover – can’t wait to read it, too. Lovely assemblage. I fantasize about a book that looks like an old tobacco tin. (That would be a candidate for scratch and sniff too, come to think of it). Your vision of big pants on a washing line made me think of Graham Percy’s “Wash Day on the Coast… Closely Watched by a Marauding Bunch of Kiwis” http://citygallery.org.nz/the-imaginative-life-and-times-of-graham-percy/ (Click on it to embiggen it and see the hopeful kiwi wishing for the wind to change). 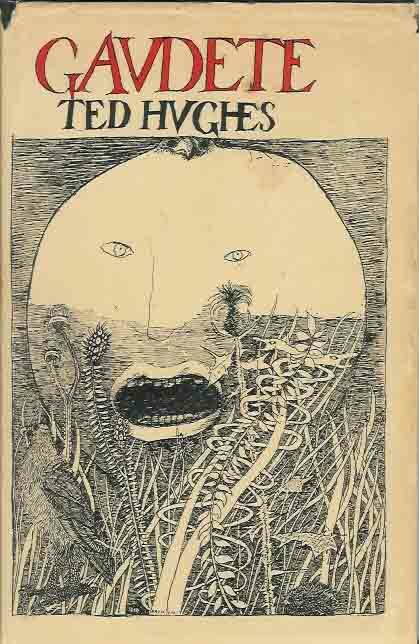 His “The New Zealand Artist Abroad” is also dying to be used on a book someday. Oh, man! Those are TERRIFIC. I love those pants so much. Thank you. You’re right – those are just crying out to be on a cover. Loving these covers; I like the hand drawn look as well. 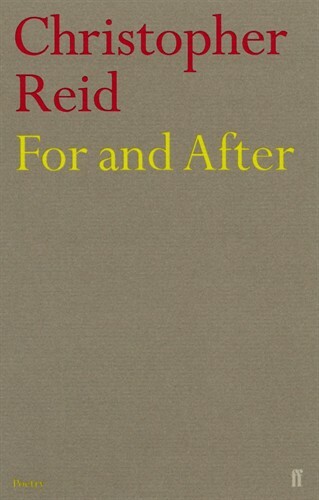 It says something about the quirky and messy poetry inside (a good thing!). 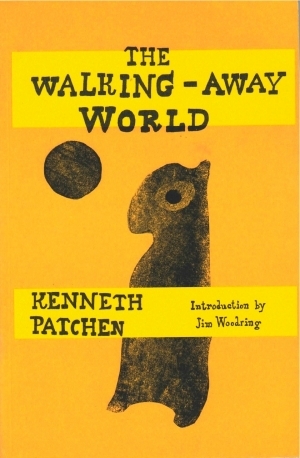 I’ve always admired the Faber covers. I have one of Simon Armitage’s collections with a simple bright blue cover. Beautiful. I’ve left my book cover up to the editorial team at Hue & Cry (although I will have some input, no doubt), which is good as that sort of visual-summing-up-of-an-entire collection is beyond me. When is your book coming out? I want it in my hot little hands. Very exciting that your book will be the first one off the Hue & Cry press. Can’t wait to see it. I think my one will be late September/October. A southern-hemisphere spring book. I’m going to spend pretty much all of July writing in pubs. I vote for number 7! And a little bit number 5 & 6 as well. Maybe number 7 with a scratch-and-sniff cabbage? 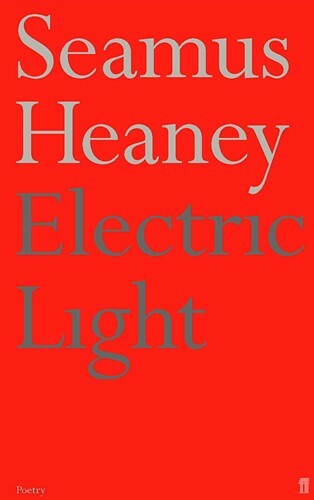 love all the covers, especially the Frank O’Hara, which reminded me of Jack White’s simple strong colours for The White Stripes and later projects. Just read an interview where he said “People think my interest in aesthetics is always premeditated, which I think is really funny. I usually stumble into things really awkwardly. I really love that part of it. The Third Man Record colours of yellow, white and black came from Third Man Upholstery (where he used to work), which were the colours of my power tools and hand tools.” My vote would be for a flaming skull with snakes coming out of the eye sockets drawn in biro on the back of your own hand. Or the colour of your tools. Great stuff. The Frank O’Hara is one of my favourites too – and I loved it even more when I found out that it was the colour scheme of that restaurant chain (which could also be called one of his tools. 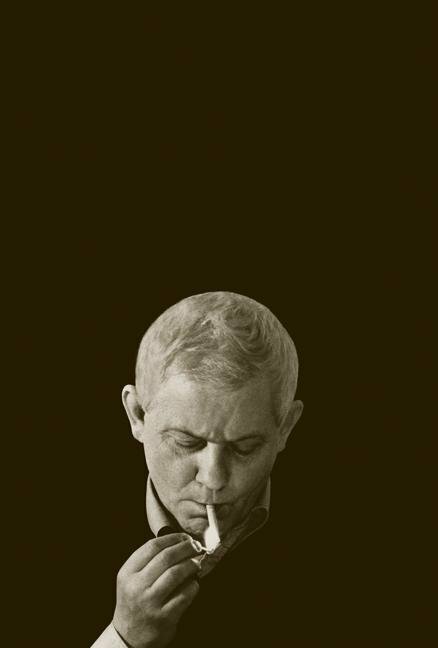 Many of his poems would never have been written without cafes and restaurants). Yes, it is very Jack-White-esque. I might draw a flaming skull with snakes on my hand right now, and see if it works. The people in this cafe might think I am menacing them, but I’m sure it’ll be OK.